American Fence and Supply Co. Forget digging holes and pouring concrete with this innovative fence system. Our vinyl fence is installed similar to the way chain link fence has been installed for decades- by driving pipe deep into the ground. The end result is a sturdy and lasting fence system that has been wind tested for up to 75mph winds. 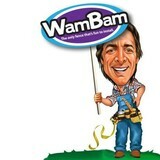 WamBam vinyl fence systems are virtual maintenance free with a limited lifetime warranty. Crafted with premium weather resistant materials, our products are professional guaranteed and guaranteed to last for decades. Prefer to dig holes and pour concrete- no problem? We have several fence styles that come with longer posts to sink into the ground. Allison Fence, a Seegars Fence Company, has a long history of unparalleled customer service and unequaled product performance. Founded in 1919 by Charles Allison Sr. and headquartered in Charlotte, NC, Allison Fence was only one of three fence contractors within North and South Carolina. Because the roads in Charlotte were so poor at the time, Charles Allison Sr. had to take the train to various towns selling fences. When Allison Fence Company was founded it began as a Page Fence dealer solely selling chain-link fences. Today, the company sells and installs multiple types of fences including: ornamental aluminum and steel, PVC, wood and much more. Allison Fence is happy to serve residential and commercial communities in western NC. If you're looking to have a new deck or fence built or repaired in the Charlotte Area you've come to the right place. We specialize in crafting custom decks and fences that are built to last. 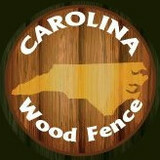 Carolina Wood Fence Co., Inc. is a family-owned and operated company started by Mike Spath, in 1980. When we say family owned and operated…we mean it! We do not subcontract out any work. Mr. Mike Spath is a retired Charlotte Fire Fighter. He has used his hard work ethic and dedication to excellence as a foundation for the quality service that Carolina Wood Fence Company provides. Mike’s son Brent Spath & son-in-law Scott Greist are also a big part of Carolina Wood Fence and its success. They both are current Charlotte Firefighters. Brent & Scott work together to make sure that your fence is installed exactly the way you want it and were promised. They are present on every job site and strive for excellence and customer satisfaction. Landmark Fences has been serving the Lake Norman and Charlotte area, for more than 15 years. Our first priority is our customers, and we are dedicated to providing exceptional quality and service. We are fully licensed and insured. Call us today to set up your FREE estimate. A1 Fence Company, Inc. specializes in residential, commercial, and industrial fencing. One of our most important goals we’ve carried throughout the years is to provide our community with the highest quality of fencing. A1 Fence Company is your most trusted source for fence sales, service, and installation. Our experienced fencing experts deliver nothing other than the quality you desire. To provide every customer with service excellence we use the finest materials in the fencing industry, perform quality workmanship, and offer some of the best rates in town. Whatever the style or type of fence you’re looking for, A1 Fence Company has you covered. Firehouse Fencing, LLC, provides you with quality fencing solutions to meet your needs. We have various styles to ensure you get the look you want with a secure fence that will make your neighbors envy your property. Our fencing pros pay attention to the details so they can provide superior craftsmanship with every fence we build. We do all of this to ensure your satisfaction from start. Call Firehouse Fencing LLC today for your professional consultation. We install residential, commercial, and agricultural fencing along with outside landscape construction, Boulder walls, retaining walls, drainage, grading, hand railing and more. We have been in the fence manufacturing and distribution industry for over 20 years. 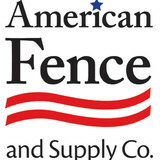 Online Fence Supply prides itself on customer service and high-quality American Made Fence Products. Located in Indian Trail, NC, Online Fence Supply is the retail outlet for Hudson Fence. We are an independently-owned and operated business supplying residential customers with aluminum and vinyl fencing along with vinyl handrail systems. Because we are the manufacturer, there are no middle men to deal with, and we can provide you with the best possible pricing. 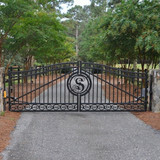 At Ornamental Fence Solutions, we work with our clients to provide site specific fence and gate solutions. While using low maintenance materials, and traditional designs, we offer a complete range of options to provide for the needs of our clients. Whether the need is for a custom gate with access controls, or a custom designed wood fence, we provide the solutions others cannot. Fence for Area Residents Affordably Augment Value & Appeal with Residential Fencing. Residential fencing can add much more than value to a home, it can add the type of practical appeal that offers a real advantage in a tight market. Installing a fence in a particularly affordable option and is typically easy to install. For home buyers with children or pets, residential wooden fencing can increase the curb appeal for YOUR home! From our 30+ years experience of building custom fencing solutions for homeowners and builders alike, we have learned how to provide specialized service to each customer of ours. We pride ourselves on great work and know that our success can only be seen through the success of every fence and deck installation we complete. There are many different fence types and styles that we offer, including HOA friendly fences. Choose from a selection of wood fences, aluminum fences and even vinyl fences. We also can help with your new deck installation, increasing / decreasing a current deck installation, pergolas, arbors, and more. Call us today for a free estimate. One of our experienced estimators will come out to your home or job site and meet with you to discuss your needs. You will be given an estimate on the spot and they will be able to answer any question you may have. We look forward to serving you! Call us today at 704-978-8809 or click here to contact us by email. Family owned and operated, Simply Custom Solutions is committed to servicing and providing all of our customers with the professional and personal respect that they each deserve. Our Mission is to provide and maintain a business relationship with our customers that is built on absolute quality and founded on the integrity that is needed and expected for security, loss prevention, and operational process improvement. Whether you are a commercial corporation, a resident, or have agricultural/farm needs we understand the importance of securing your investments. Utilizing our major manufacturing partners we ensure to provide you state-of-art innovative equipment and solutions to secure not only your investments, but also your future. Your Fairview, NC fence installation and repair professional will work with you to create your ideal fence. Find a fence contractor in Fairview, NC on Houzz. Narrow your search in the Professionals section of the website to Fairview, NC fence contractors. You can also look through Fairview, NC photos to find examples of fencing and gates that you like, then contact the professional who worked on them.